Serving on the faculty at a liberal arts college requires a fine balancing act: the expectations for teaching and mentoring students are the highest in higher education, and yet those same teachers are expected to maintain a rigorous program of professional development. For the five Allegheny faculty interviewed for this article, however—and, they would be the first to say, for their colleagues across campus—engaging in research and creative activity is not a matter of simply meeting expectations. It complements and informs their teaching, it connects them to colleagues around the globe, and it brings them tremendous personal satisfaction as they work in labs, libraries, theatres, and the world outside campus to unravel mysteries, contribute to scholarship, create new and distinctive work, and solve real-world problems. In many cases, Allegheny faculty are also able to integrate students into their work: students often cite getting to work alongside faculty in research and creative projects as one of the most exciting and rewarding components of their Allegheny education. But whether or not it lends itself to student contributions, the work that faculty do often models for students the joy of tackling a problem and making it their own, thus helping to produce and inspire the next generation of scholars. It’s a little counterintuitive: we expect liberal arts graduates to get a well-rounded education—breadth in addition to depth is the liberal arts’ bread and butter—but we might expect that researchers who want to learn their trade would flock to research universities. It’s what research universities do, after all. The numbers reveal otherwise, however. Although residential liberal arts colleges educate about 3 percent of American college graduates, those colleges produce almost twice as many students, proportionately, who go on to earn Ph.D.s in science as do other institutions. Almost 20 percent of scientists elected to the National Academy of Sciences during a recent two-year period were liberal arts graduates. Perhaps not so surprising—but just as impressive—liberal arts colleges were shown in one study to have produced 8 percent of the nation’s wealthiest CEOs as listed in Forbes magazine; 9 percent of Fulbright scholarship winners; and, in an almost forty-year period, disproportionately high percentages of Pulitzer Prize winners: 23 percent of the prizewinners in drama, 19 percent in history, 18 percent in poetry, 8 percent in biography, and 6 percent in fiction. Liberal arts institutions have also produced 19 percent of U.S. presidents, including Allegheny’s own William McKinley as well as the incumbent: Barack Obama began his undergraduate education at Occidental College and finished it at Columbia University. But the successes associated with the teacher-scholar model are hard-won. Even the most dedicated teacher and scholar comes up against the same insurmountable problem as the rest of us: barring a research breakthrough in temporal physics, there are only so many hours in the day. 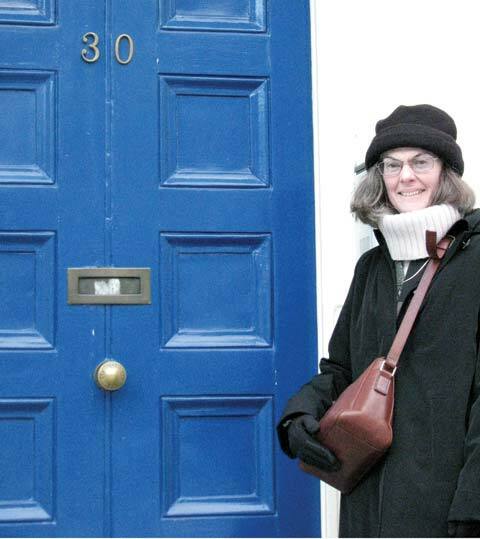 Professor of English Diane D’Amico notes that she was able to write her book on Christina Rossetti only because at the time she had been granted a Humanities chair, with its reduced teaching load. 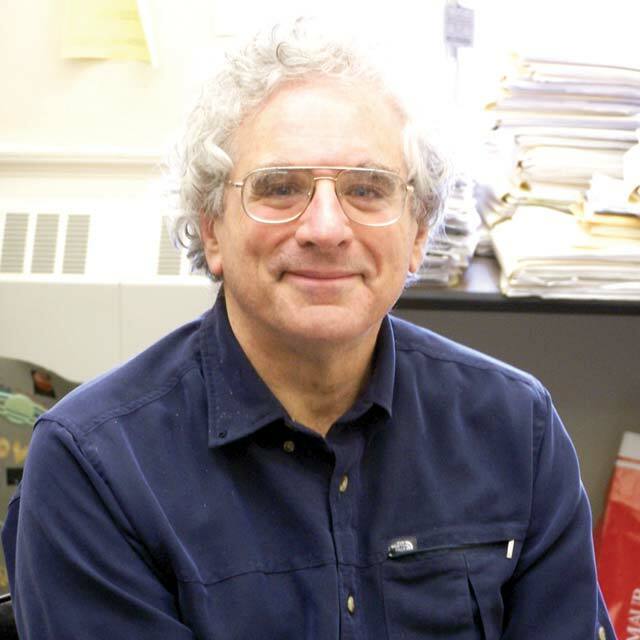 Major works such as Professor of History Barry Shapiro’s book on traumatic politics and the early French Revolution and Professor of Theatre Beth Watkins’s new play Chewing Your Fingers to the Bone were both developed for the most part over the course of sabbaticals. Finding funding for research and creative activity can be equally challenging. 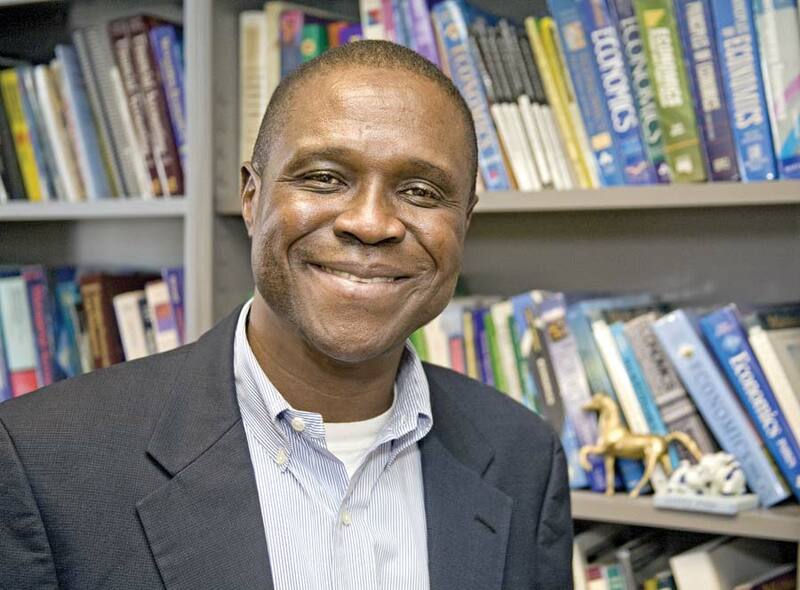 “At a liberal arts college, it’s hard to find the time to write grant proposals, so you may not be as competitive as faculty at research universities,” notes Associate Professor of Economics Steve Onyeiwu. “For some grants, you’d almost have to shut down all your work and do nothing but work on the grant proposal. Institutional support—money that the College can provide to faculty and students, often through the generosity of alumni—often makes a critical difference. Christine Scott Nelson ’73, who has served as chair of the College’s board of trustees since 2007, endowed a research fund during the last capital campaign. Support from that fund allowed Associate Professor of Geology Ron Cole ’87 to work with two students in Alaska during summer 2008. The data they collected formed the bedrock for a successful grant application to the National Science Foundation, which will provide more than $219,000 over the course of three years for Cole’s continued research on volcanism and mineral resources in Alaska. As many as twelve Allegheny students will participate in the work, which will take them from Meadville to Alaska to what Cole calls a “world-class geochemical laboratory” in Taipei, where they’ll have the opportunity to work with a colleague of Cole’s at National Taiwan University. Steve Onyeiwu has a great deal of respect for economists who focus solely on theory. It’s just not the kind of economist he wants to be. “I am an economist who believes economics should be about solving problems,” Onyeiwu says. Onyeiwu applies this philosophy to both of his current areas of research, one close to home in Meadville and the other much farther afield: in Africa. Since his days as a Ph.D. student, Onyeiwu has been interested in how firms gain a competitive advantage. How do they become leading firms? What kind of investments do they make to attain that status? How do companies use technological innovation to their competitive advantage? 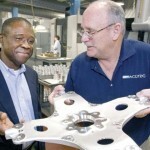 Although his dissertation was on the Nigerian textile industry—Onyeiwu was born and raised in Nigeria—and how they competed, he discovered upon arriving in Meadville that Crawford County was fertile ground in which to transplant his research.1 Onyeiwu is now focusing this branch of his work on the regional tool and die industry. Onyeiwu’s second area of research—the economics of developing countries, especially in Africa—has allowed him to cross disciplinary lines and work with colleagues like Eric Pallant, in the environmental science department. Onyeiwu is especially interested in issues related to poverty and the impact of globalization on the poor in African villages. Using the poverty headcount index—the percentage of people who live below $1 per day—and access to basic necessities as benchmarks, Onyeiwu found that the impact of globalization on poor villagers in Nigeria has been marginal. With Pallant and Molly Hanlon ’09, Onyeiwu is about to publish an article about the sustainability of agriculture in Africa, a topic they presented on at a conference in Senegal. The project began on an Experiential Learning term that Onyeiwu and Pallant led to Ghana, Togo, and Burkina Faso. National Endowment for the Humanities Chair in the mid-1990s, D’Amico wrote the book Christina Rossetti: Faith, Gender and Time, published by Louisiana State University Press. Now, through a series of articles, D’Amico has been crossing disciplinary boundaries to explore Rossetti’s life and work through fields including religion, medicine, and architecture. Although it may be surprising to realize that mastectomies were performed in the nineteenth century, D’Amico says it was not an unusual operation. The hospital surgical records of George Lawson, who regularly performed mastectomies, still exist, although the records related to his private patients, including Rossetti, have been lost. D’Amico’s interest in architecture grew out of a visit to Rossetti’s home, a Georgian row townhouse in London.2 Although 30 Torrington Square is now a collection of private apartments, D’Amico received permission to tour the house, where Christina Rossetti died in 1894. D’Amico has also made connections with descendants of Christina’s brother, William, the only one of the four Rossetti siblings to have children. Through those connections, she learned that the family still owns Christina’s writing desk—another glimpse into the poet’s world. D’Amico has also researched nineteenth-century “penitentiaries,” which she explains were not prisons but rather institutions that prostitutes entered, as “penitents,” to learn the respectable skills of laundry, needlework, and other useful work. Rossetti volunteered in penitentiaries and may have read to the women there. Caryl Waggett’s research on lead poisoning in rural areas grew out of a classroom lesson that didn’t go quite as planned. A new faculty member in the environmental science department in 2003,1 she was teaching her first class and what she hoped would become her signature course: environmental health. 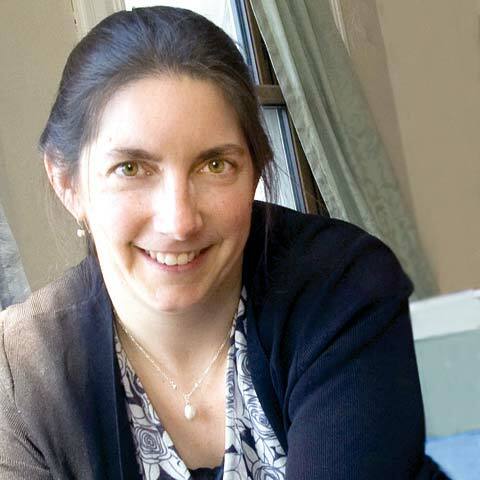 Before coming to Allegheny, Waggett focused her research on Lyme disease. She dissected some 14,000 ticks in the course of her research and conducted a three-year epidemiological study at a northern California commune at high risk for the disease. She still works with students at Allegheny who want to study Lyme disease and West Nile virus. But once Waggett and her students started looking into the topic further, they discovered two things: Crawford County has many of the risk factors for lead poisoning—such as a high poverty rate and a high percentage of housing that predates the regulations against lead paint—and because lead poisoning had always been considered an urban problem, fieldwork hadn’t been done in rural areas. They set to work, aided by a Shanbrom Collaborative Research Grant, funded by Dr. Edward Shanbrom ’47 and his wife, Helen. Waggett and her students looked at fifty homes in the area and found enough evidence to suggest the potential for high incidences of lead exposure among the county’s children. Just a year after that first course, and using the data gathered with their Shanbrom grant, Waggett successfully applied for a grant from the Environmental Protection Agency. Through a partnership with Meadville Pediatrics, they found that 10.4 percent of children in the county had elevated blood lead levels that could result in severe neurological problems associated with lead poisoning. That compared to 4.9 percent of children in Pennsylvania and 1.4 percent of children nationwide. That initial work has now expanded into Healthy Homes–Healthy Children (HHHC), a program that supports parents in northwest Pennsylvania in their efforts to ensure their families’ health. In addition to its research program, HHHC not only provides free in-home testing for lead, mold, radon, and other hazards but also conducts educational outreach. As for the lesson students took away from that first class? Even better than learning about an environmental success story is being able to create one of your own. Waggett co-chairs a working group on the environment and health. 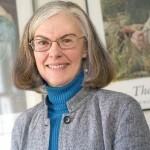 She has been collaborating with the Institute of Medicine, the Centers for Disease Control and Prevention, and others to develop a strategy that will aid all undergraduates as educated citizens and future political, business, and community leaders to understand the health implications of human actions in the environment. “The very idea of ‘psychohistory’ makes many traditional historians uncomfortable,” according to Barry Shapiro. But by applying a psychological lens to history, Shapiro has created what scholar David Troyansky calls “a work of creativity and daring”: Traumatic Politics: The Deputies and the King in the Early French Revolution, published last year by Penn State University Press. In Traumatic Politics Shapiro examines how the early experiences of the deputies of the first Revolutionary Assembly, when the king’s troops surrounded the assembly and the deputies feared for their lives, affected the decisions they made as they constructed a new constitution and decided the fate not only of the monarchy but of the monarch himself. The class studies two crises of the French Revolution: when Louis XVI tries to escape from Paris in 1791, and the Assembly has to decide what to do with him, and the trial of the king in 1792–93, which leads to his execution. Shapiro gives two weeks of background for the course before students take the reins. For each crisis students divide into two factions, left and right. Some take on the personae of well-known figures such as Danton or Lafayette. Others assume generic roles, such as a seamstress or an uncommitted delegate. For the second crisis, students switch sides and reverse roles, with those who played named individuals taking on less prominent roles and vice versa. Do the results of Shapiro’s research on traumatic politics in the French Revolution have relevance to politics today, particularly in the United States? “The very terms ‘the left’ and ‘the right’ originated in the French Revolution,” Shapiro reminds us. The play was inspired by “An Error in the Code,” an article by Richard Preston in The New Yorker that relates the diagnosis and treatment—and the human anguish—of a rare genetic disorder, Lesch-Nyhan syndrome, which causes its victims to actively work against their own self-interest, including terrible acts of self-mutilation. 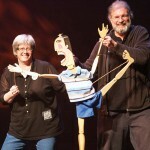 Watkins and local puppeteer Brian Thummler had been looking for an opportunity to work together after Thummler created shadow puppets for Venus, another Playshop production. Watkins also knew that she wanted to develop a devised theatre piece, which a company creates through improvisational rehearsals rather than by starting from a script. In 2005 Playshop Theatre debuted Chick Joint, a play that Beth Watkins adapted from the prison correspondence of Jesse Carr, a twenty-year-old college student who was arrested with eighty other human rights activists for trespassing onto the property of the School of the Americas in Fort Benning, Georgia. In addition to dramatizing real-life events described in Preston’s article, the play employs fantastical stories within the story: Hephaestus, Zeus, and Hera all make an appearance in a comic retelling of the Greek myth of Pandora’s box, and the King Fox fable uses puppets to tell a variation of the Bluebeard tale. 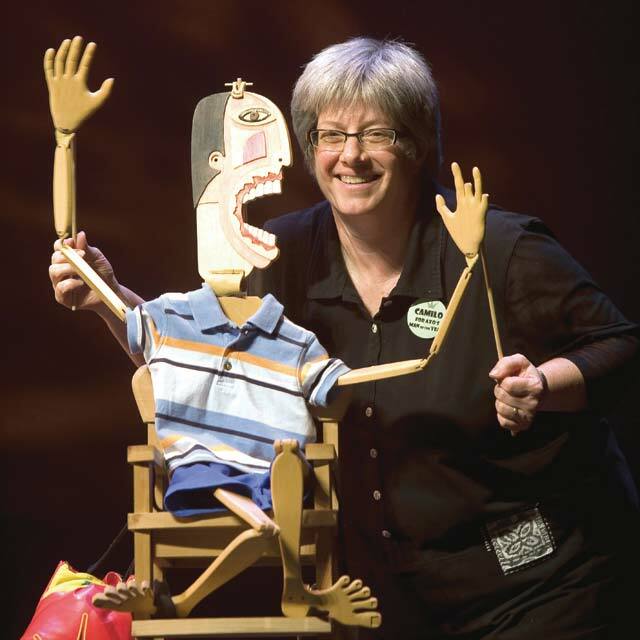 The two characters in the play who have Lesch-Nyhan syndrome, Joey and Mike, are also represented by puppets. Watkins also drew on the expertise of colleagues Jeff Hollerman and Lee Coates, who both teach in the neuroscience program. Students in the cast of Chewing Your Fingers to the Bone—Stephanie Armstrong, Kaitlin Mackenzie, Camilo Matos, Jordan Metcalfe, Sara Odioso, Michael Andrew Pirrone-Brusse, Stephen Reaugh, and Dan Winston—include an equal number of theatre majors or minors and students who are majoring in other fields. Philadelphia composer Bob Michel wrote five original songs for the show. Student musicians Nick Adamson, Heidi Kleppen, and Isaac Salapa accompanied the cast as well as created a musical “soundscape” and effects for the production.